Created by Lavinia Warner, Tenko, one of the world’s most successful drama series, concerned the experiences of women prisoners of the Japanese during World War II. 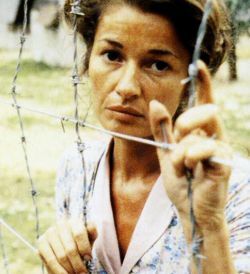 It was conceived when Lavinia was in the Far East making a documentary Women in Captivity for the BBC’s Omnibus strand. She had put forward this idea after bonding with a group of survivors she had reunited on an edition of This is Your Life. As well as devising the drama, Lavinia created the characters and penned the series’ storylines. Tenko was commissioned by Graeme McDonald, produced by Ken Riddington and Vere Lorrimer, and written by Jill Hyem and Anne Valery. The series stars included Ann Bell (Marion Jefferson), Stephanie Beacham (Rose Millar), Stephanie Cole (Dr Beatrice Mason), Louise Jameson (Blanche Simmons), Burt Kwouk (Major Yamauchi), Jean Anderson (Joss Holbrook), Patricia Lawrence (Sister Ulrica), Veronica Roberts (Dorothy Bennett), and Elizabeth Chambers (Mrs Van Meyer). The story, told over 30 x 50 min episodes , takes us from the Fall of Singapore in 1942, when thousands of evacuating women were bombed at sea and captured, through to the war’s end in 1945, and beyond, to a a feature-length finale, Tenko Reunion. A disparate group, thrown together in make-shift jungle camps and fighting for their lives, the women endured a regime of harsh brutality and unremitting struggle, thousands of miles away from their comfortable lives and loved ones. Although tensions built and sickness took its toll, they began to rely on one another and their talents, courage and dreams helped them to survive. Tenko was an immediate hit with the public, bringing in viewing figures of 16 million and winning many awards, both in the UK and worldwide. 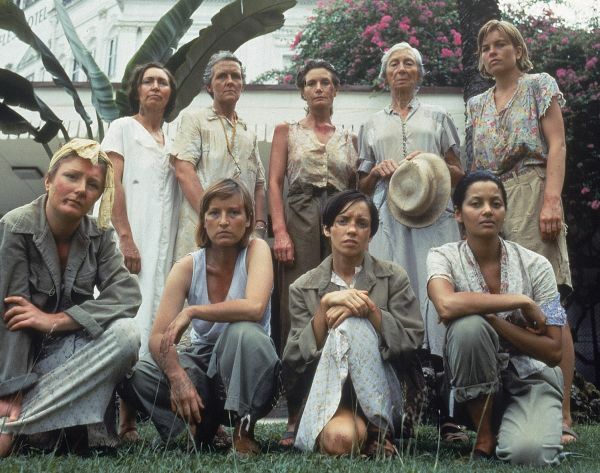 In September 2005, Tenko featured on the BBC’s Drama Connections series in which, its importance in television history for being one of the very first female ensemble dramas was explored, together with its role in bringing a forgotten story to the screen. Just as the real survivors formed a life-long bond, so art reflected real-life and the actresses and production team formed lasting friendships which result in parties and reunions to this day. It was a memorable occasion when actresses and survivors met for the first time at the Imperial War Museum for tge launch of Lavinia’s book on the original camps, Women Beyond The Wire. The book is due for re-publication in 2014. In October 2012 there was a special reunion of Tenko’s cast and crew for the launch of a comprehensive new book celebrating the series, Remembering Tenko by Andy Priestner, for which Lavinia has provided a foreword. DVDs of all three series are available from Acorn Media.